James Cameron hasn't directed a lot of movies over his long, storied and very successful career, but he has made a big impact almost every time he has stepped behind the camera over the years. It is arguable, and inarguable by certain metrics, that he made his biggest impact with 2009's Avatar. The movie was a massive hit in every single way. That being the case, people have wondered why we haven't had a sequel yet? 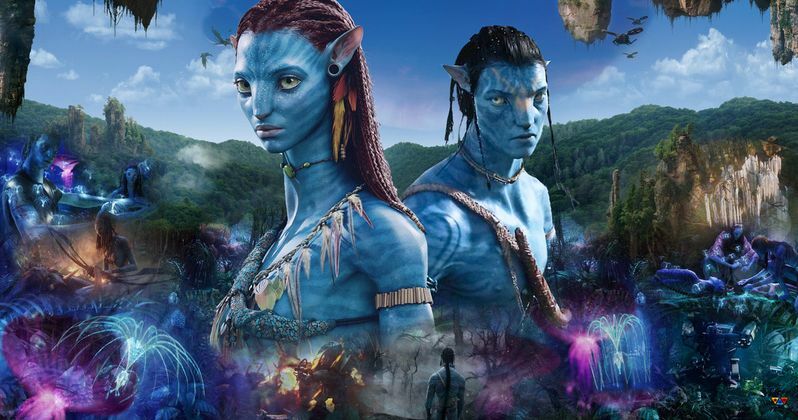 There are reasons for that, but rest assured, Avatar 2 is on the way. Fox has wanted a sequel to James Cameron's Avatar pretty much since the movie hit theaters, and who could blame them? Avatar grossed an insane, unprecedented $2.78 billion at the worldwide box office, which is truly staggering. Even after movies like Jurassic World, Star Wars: The Force Awakens and a ridiculous amount of very popular superhero movies, Avatar remains the highest grossing movie of all-time by a very wide margin. The difference is, most studios would have put pressure to get a sequel to a movie like that out much more quickly, but that hasn't been the case with Avatar. Interestingly enough, James Cameron hasn't directed any other movies in the time since, so it isn't as though he is focusing his efforts on another directorial project. Sure, he has produced things here or there, but nothing so demanding to prevent him from directing Avatar 2. He has actually been hard at work ever since Avatar came out on his plans for the franchise and that is what has taken so long. He honestly didn't even know how vast and expansive his plans for Avatar 2 and beyond were until he started digging in, which is why this process has been delayed for so long. Related: All 4 Avatar Sequel Titles Revealed? There have been many false starts and stops in the years since Avatar first hit theaters in terms of when Avatar 2 is actually going to get underway. Fans of the first movie have been teased again and again with false reports of shooting happening or things of the like, often from James Cameron himself. Last year, though, he and Fox made it clear that their plans for the Avatar franchise are finally just about ready and the director is going to pour all of his efforts into Avatar 2. Unless there is a really big setback of some kind, it really looks like Avatar 2 will be in production before we know it for real this time. Fans can rest easy and get excited about returning to the world that James Cameron created nearly a decade ago. So, with the shooting on the highly-anticipated sequel supposedly starting soon, here is what we know about Avatar 2. It would be hard to make a case for making Avatar 2 without James Cameron, even though Fox would probably want a sequel to the highest-grossing movie ever made no matter what. Luckily, that won't be a concern because the Hollywood legend seems hell-bent on spending a good chunk of his remaining years on this Earth making Avatar movies and that will start with Avatar 2. In most circumstances, a studio would not give a director nearly a decade to prepare a sequel to such a successful movie, but with James Cameron comes box office success. So they are giving him time to work. The director currently has the two highest-grossing movies ever made, with Titanic coming in behind Avatar. James Cameron has seemingly cracked the code on mass appeal and even though he has only directed eight movies, those eight movies really speak to that. From Aliens to Terminator 2 and yes, to Avatar, he has proved that he knows what audiences want. So, if you were a fan of the first Avatar, great, but even if you weren't, having him fully involved in Avatar 2 is arguably the single largest reason any movie fan should really be looking forward to this movie.